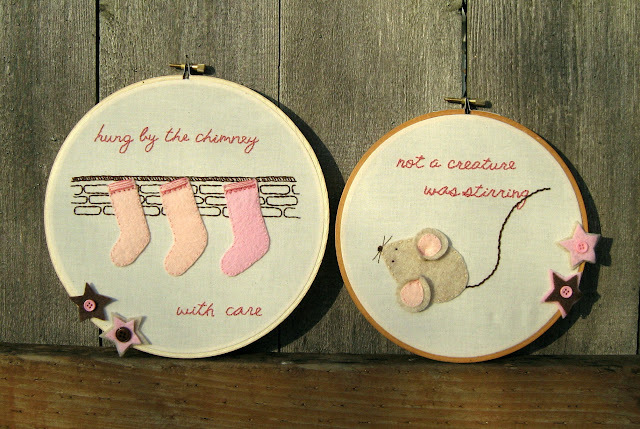 Ok, I finally got my act together and have our featured links from last week's parties to make the end of 2011 truly Craftastic. Still want a chance at winning some Pellon goodies? Want to make your OWN beautiful bags? January will kick off with some new bag-making Pellon prizes, tutorials & ideas you won't want to miss. I'll also be sharing some new wintertime themed projects and cute kid stuff, so get ready to start the year off with some new crafting fun! Domestic Goddessque shared this adorable Christmas pudding biscuits. Easy & enchanting!! I love the festive transformation Jellyfish Jelly did on a second hand dress - it even lights up. How awesome is that? The last Craftastic Link Party of 2011 is open now, so link up your own special creations by clicking on the link to it at the top of the blog! And the Kids Can Craft party's "Pick of the Week" was from Sweetwater Cloth who shared this cute project made with footprints and bits & bobs from scrap fabric. Too cute!! The Kids Can Craft link party has been an always-open link up of projects for kids to make (and for helping busy parents, grandparents & caregivers have a go-to supply of crafty boredom busters). The party is set to end at the end of 2011. Would you it to continue in 2012? I can keep Kids Can Craft rolling if people would like to keep linking. Let me know what you think! Thanks for a great giveaway and congratulations to liza! I love the christmas embroidery hoops! Thanks again for hosting the giveaway, I can't believe I won! Thank you for featuring my dress! Thanks for the feature! I can't wait to see what you have in store for your faithful readers in the new year!